The Dow Jones Industrial Average was on the rise Wednesday despite a sharp downturn in healthcare stocks and could close at an all-time high ahead of the Thanksgiving Holiday. The downturn in healthcare stocks was driven by the biotechnology industry. At 12:30 p.m., the Nasdaq biotechnology index (.NBI) had declined by 0.1%. On Thursday, the markets will be closed for the Thanksgiving holiday. They will also close early on Friday at 1:00 p.m. The Dow Jones had added 39 points at 1:00 p.m. on Wednesday as the markets prepared for the Thanksgiving holiday break. At 1:00 p.m., the Dow was trading at another record high even though eight of the 10 major S&P 500 sectors were trading in the red. The S&P was off a point heading into the afternoon trading hours. Trading will reopen on Friday, but expect volumes to be low given the holiday schedule. It was a brutal day for biotech stocks after Eli Lilly and Co. (NYSE: LLY) announced the company had halted development of a once-promising Alzheimer's drug after it failed to show advancements in a phase 3 study. Shares of LLY stock plunged more than 12%. The study failure hammered other companies that develop similar Alzheimer's drugs. Shares of Biogen Inc. (Nasdaq: BIIB) fell more than 5%. But no biotech company has had a worse day than Juno Therapeutics Inc. (Nasdaq: JUNO). Shares plunged more than 26% after the firm announced that two patients died during a phase 2 trial for a leukemia drug. It was a very busy day of economic data. First, the number of Americans seeking jobless benefits was higher than Wall Street expected last week. The number increased by 15,000 last week, bouncing off a 43-year low in early November. Meanwhile, in October, U.S. durable goods orders increased by 4.8%, a figure driven by a big demand for commercial aircraft. Later today, the U.S. Federal Reserve will release minutes from its last meeting. The markets will be looking for clues into the central bank's commitment to raising interest rates in the coming weeks. According to CME Group's FedWatch Tool, there is a 93.5% probability the Fed increases rates in December. However, Janet Yellen's team has moved slower than expected before and delayed rate hikes due to concerns about inflation levels and the U.S. labor market. In fact, many are wondering if the stock market will crash after the FOMC meeting in December. We break down what could fuel a sharp downturn in stocks, right here. 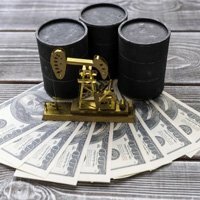 The price of crude oil was volatile as investors prepare for a weekly update on U.S. crude inventories from the Energy Information Administration. Crude prices have been under pressure due to speculation on the fate of the OPEC agreement. The global oil cartel is meeting on Nov. 30 in Vienna, Austria, to discuss progress on a plan to reduce production by 4.0% to 4.5%. The WTI crude oil price today is up 0.12%, while Brent crude oil was up 0.04%. Here's our latest on next week's production deal and what it means for energy investors. Next week, voters in Italy will be heading to the polls to decide whether they want to overhaul their nation's constitution. The decision would allow the nation's Prime Minister Matteo Renzi to push through economic reforms, which many economists agree are sorely needed to bolster growth, streamline government, and improve the nation's labor markets. The polls show that the "No" crowd is in the lead, but populist voters have surprised the markets this year, with the Brexit vote and the victory of Donald Trump. T-Mobile US Inc. (Nasdaq: TMUS) was under pressure after CtW Investment Group sent a letter to the Securities and Exchange Commission asking for an investigation into the company's accounting standards. The investment group wants the SEC to focus on how the company uses non-standard metrics in its earnings releases. T-Mobile has been accused by Dieter Waizenegger, an executive director at CtW Investment Group, of dramatically altering how it accounts for its earnings figures over the last four quarters and failing to disclose the changes to shareholders. In earnings news, shares of Deere & Co. (NYSE: DE) surged more than 10% after the company shocked Wall Street by easily beating consensus earnings expectations. Analysts anticipated Deere would report weaker fourth-quarter earnings as demand for new machinery fell. Wall Street expected an EPS of $0.40. But the company reported an EPS of $0.90, more than double expectations. Deere also topped revenue expectations and said that 2016 was one of its best years despite a challenging market for heavy machinery. 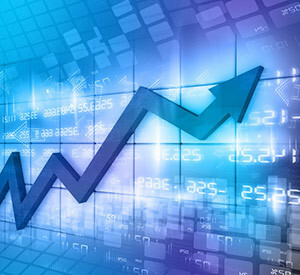 After the bell, look for additional earnings reports from Ctrip.com International Ltd. (Nadsaq ADR: CTRP) and Chemical & Mining Co. (NYSE: SQM).